Please note: To get the general instruction file reference to this product, please message to us (to seller) form your order detail - You will receive a pdf file containing necessary information. 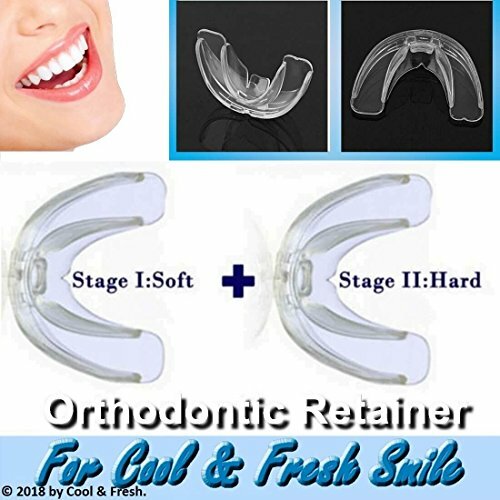 As it is not possible to provide specific instruction because condition and positioning of teeth of everyone is different, but how to wear it, normal time to wear, when to use soft tray and when to use hard tray, wash care instruction and some other points you need to know have been included in this file. If you are not finding the option to contact seller in your order detail, as a alternative, you can click on name of seller in Amazon Product Detail Page, there also you will find a option to leave a message to seller. If you have any questions about this product by Cool & Fresh, contact us by completing and submitting the form below. If you are looking for a specif part number, please include it with your message.